Traffic Ramaswamy movie review and rating arround the web. Traffic Ramaswamy movie average rating is 2.13 out of 5.0 based on 6 reviews. Average movie review percentage is 43% out of 100% from below websites (Net Tv 4 u, kalakkal Cinema, Studioflicks, Times of India - India Times, Sify, IB Times, ). Write & Share about "Traffic Ramaswamy Movie Review, Kollywood Traffic Ramaswamy Live user Review Update, Kollywood Traffic Ramaswamy Movie Latest Updates | Tamil Cinema Profile" ! We do not sell pirated Traffic Ramaswamy DVDs & VCDs. We recommend you to buy movies of original DVD & VCD. We do not provide paid / free Traffic Ramaswamy Movie downloads. We do not offer to watch Traffic Ramaswamy movie online. 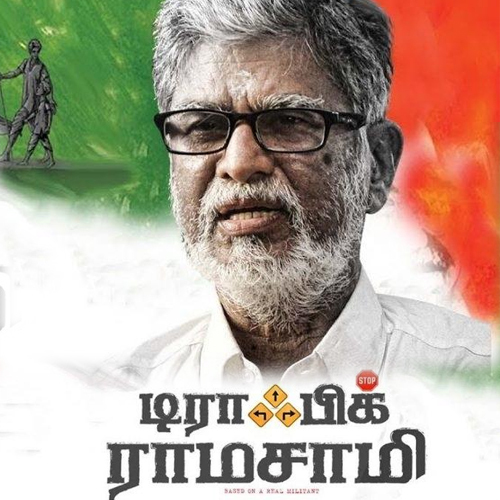 Traffic Ramaswamy Movie Review/Comments are added by registered customers via Facebook Comments. Traffic Ramaswamy Movie Star Rating by unique customer filtered by IP's. Free wallpapers download of Traffic Ramaswamy movie, hero, heroine, etc is available in our Gallery section. Traffic Ramaswamy Wiki & Box office collections are updated regularly.